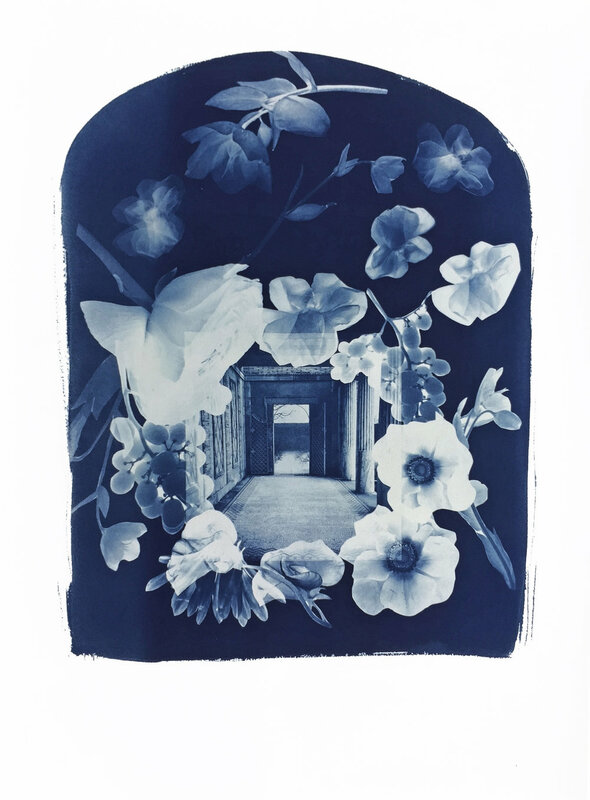 cyanotype on Arches Platine paper. 30” x22”. This piece has been sold. 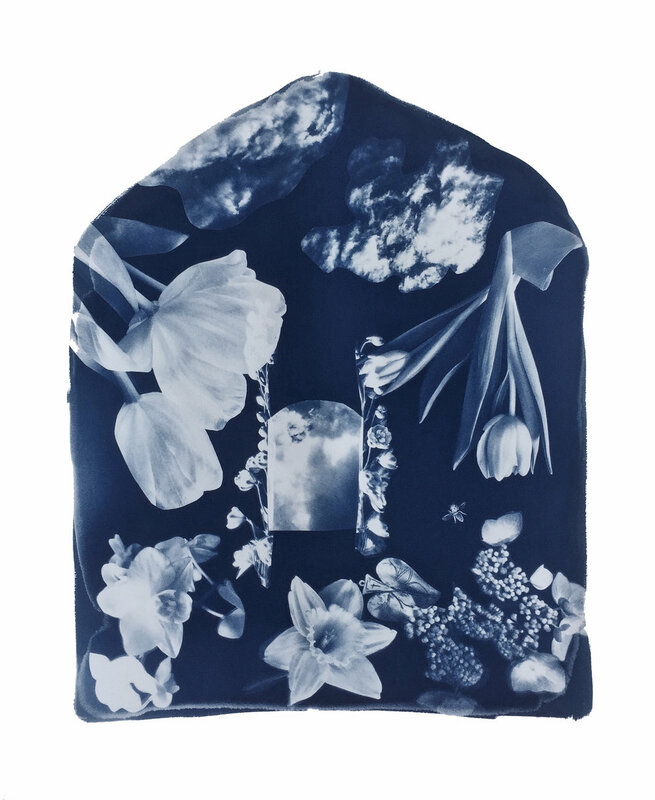 cyanotype on paper 30” x 22”. This piece will be for sale at the MassArt Auction. Online bidding starts April 12 and the live auction event is Saturday April 27, 2019. "Arcadia" 30" x 22" Collage created from original cyanotypes made on gampi, watercolor and printing papers, assembled on black paper. Cyanotype on paper 22” x 30”. This piece has been sold. 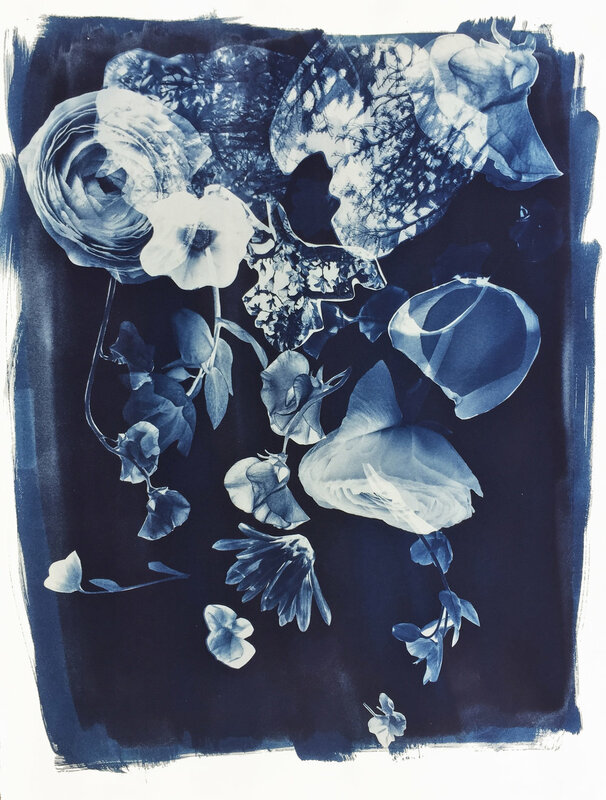 cyanotype on paper 30” x 22”. This piece has been sold. new work Figure series 2018. Cyanotype of collaged original transparencies, on Arches paper. cyanotype on paper 11" x 14"